(31 May 2018) It is always difficult to know exactly when to release software, but when we put our first release on Steam it was because we felt eSail was good enough to enter the Early Access programme. 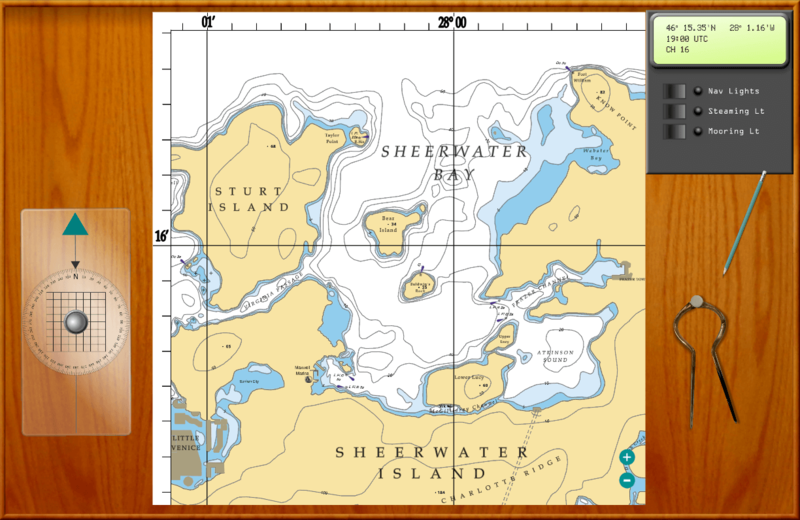 This phase allows the sailing simulator to be used as intended and for users to provide invaluable feedback. And that feedback has been superb. Even though we had spent months testing and Beta testing there were still teething problems (it might be a bonny baby but nothing is ever perfect!) . So now after much hard work and lots of input from the eSailing Community we have today launched a new update (1.2.1) with over 30 enhancements and bug fixes. Thank you to all the community helpers who make the continuing development possible. A new coordinate display has been added to the pencil in the Chart. This is because it can be difficult to read the scale even for the experienced navigator.